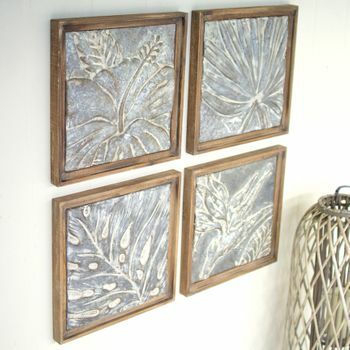 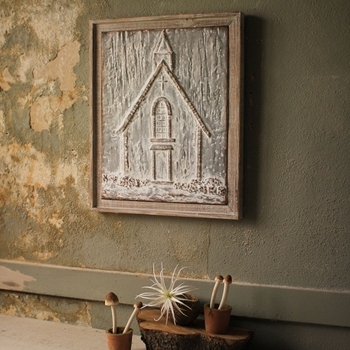 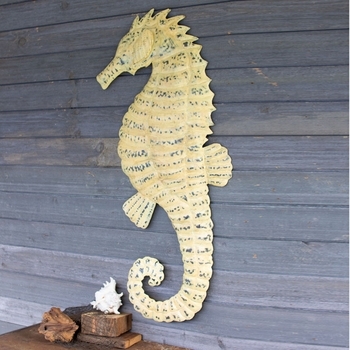 Five rustic wooden brick molds artistically attached to a metal backer. 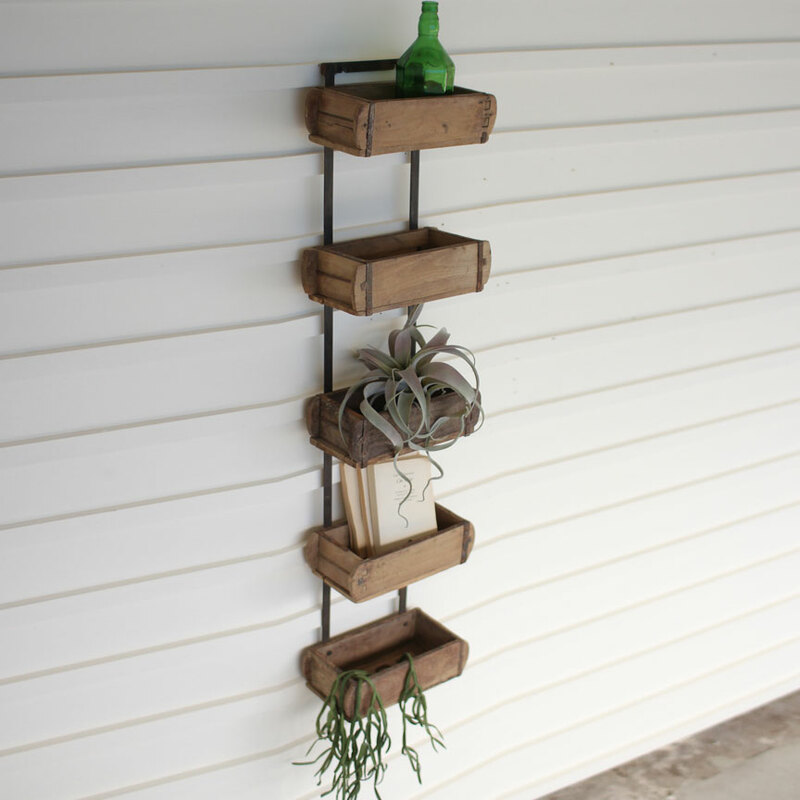 Hang wherever you need a little extra space. Excellent in a greenhouse or potting shed to hold seeds, gloves, small pots and tools.